EIFS has been receiving a lot of popularity in the United States because of the endless design options and superior energy efficiency. Most people who own old houses renovate it with stucco so as to reduce the energy costs. Unlike the old cladding materials, EIFS insulates your building completely. It is also an excellent option for anyone who is looking for durability. These are the primary advantages of EIFS even though the list is endless. One attribute of EIFS is that of condensation reduction. It outperforms traditional siding materials such as fibreboard, stucco and brick when dealing with moisture control. Traditional cladding alternatives have thermal sidings that allow the flow of heat hence leading to condensation when the outside cold air comes into contact with the warm interior air. The condensation can form moisture that can damage your cladding. Breathability is the other top benefit of stucco. The most important thing is to give your structures the best finish. It is important for exterior walls to have breathability to prevent moisture from building up through condensation. The other benefit of IIFS is space saving. Currently, the value and quality of your living spaces rely on the interior floor space that the building offers. Interior insulation consumes a huge proportion your valuable interior space. The good thing with EIFS is that it has no effects on your interior living space. Therefore, it will give you optimal insulation with significant savings in space. EFS also offers a high level of thermal efficiency because it can accommodate any u-value requirements. Most of the other insulations like cavity insulation and interior insulation don’t offer similar benefits because of space constraints. When dealing with interior insulation, you have to restrict the thermal efficiency to a certain extent because of a reduction in your interior floor space. On the other hand, the size of the cavity restricts cavity wall insulation which may not be sufficient to offer enough thermal efficiency. The other important attribute of EIFS is that it has a high capacity of thermal mass utilization. In the EIFS exterior wall systems, the wall mass of the whole building act as a heat storage as it captures the heat that is used to heat/cool the building’s interiors. The same heat will come into play as it radiates back to your building. Therefore, it allows it to maintain the desired temperature. Interior insulation doesn’t offer the same benefits leading to a lot of wastage in energy as it tries to maintain the ideal room temperature. The other advantage of EIFS is that they are three tier systems that are encompassed into one. Apart from giving your building the required insulation, EIFS offers unlimited design options and the benefits that come with a layering/plastering system. These systems also come with a very high level of convenience. 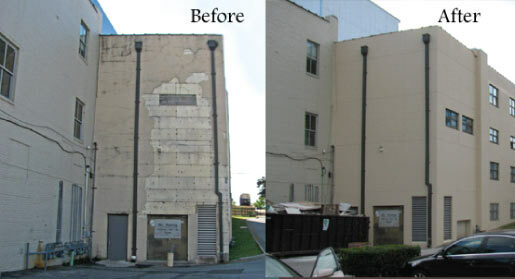 You can renovate your building without having to move out because EIFS is an exterior surface. Therefore, it will not interfere with the life of those people who are inside the building. The challenge with interior insulations is that they will interfere with your quality of life. Lastly, EIFS has an endless option of designs. It comes virtually in every colour and a broad range of design options. Therefore, the architect has a broad range of options that he can use to express his or her talent. You can also shape EIFS into any form or design. Therefore, you can easily translate your dreams into a reality. 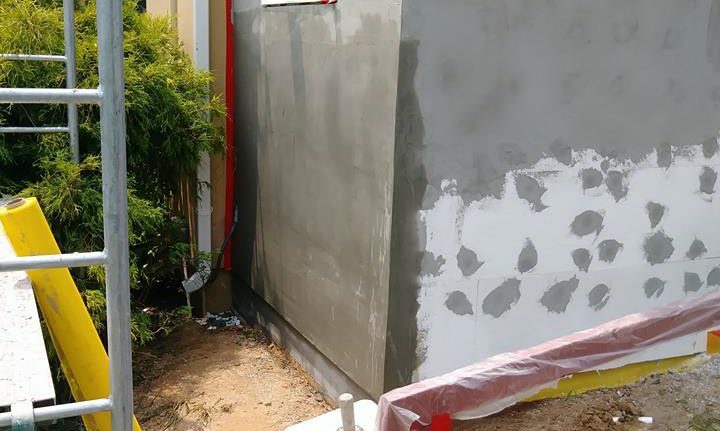 Miami Stucco and EIFS Repair Services EIFS will give you a remarkable aesthetic appeal, high durability and minimum maintenance requirements. 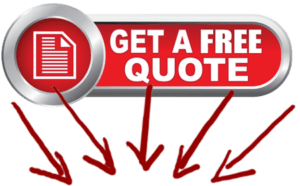 You can receive your free estimate from the company by getting in touch with its customer service representatives. The work of Stucco repair is best if left in the hands of professionals. However, you can go for DIY if you know that the damage is minor. However, you have to prepare your working area well and take some precautionary steps before carrying out this exercise. It is good to check the weather report before doing stucco repair. Dry weather can cause wet stucco to dry fast while freezing temperatures may ruin it. This can have adverse effects on the process of curing. Also, you need to prepare the damaged area well. Use a drywall knife, hammer, or chisel to remove all the loose stucco from the affected areas. However, don’t damage the mesh that is underneath the stucco. Brush away all the loose dirt or dust from your wall using a wire brush. The next thing is to choose your supplies. The first thing you need to do is determining the kind of stucco you would like to use. You can go for a single coat or the traditional three-coat. You should know the application requirements of each stucco type before moving forward. At this point, you need to prepare your stucco mix. The base stucco needs to have the consistency of toothpaste or peanut butter. You can mix motor-dye in a single-coat mixture or buy a mix that contains a pigment which closely matches that of your current home. It may be hard to match it 100% because of the effects of weathering. You can now repair the stucco damage. Use a garden hose to dampen the wall and use a trowel to apply the stucco to the wall. After filling the area in, match the texture that surrounds the stucco patch. Let the stucco dry before you can apply a paint and masonry primer as needed. The stucco mixture comprises of sand, hydrated lime, and Portland cement. The layer bonds well with the mesh that is installed in the building as its base layer. The second mixture is a brown coat that has a high sand concentration. You can get premeasured mixes in the store if you don’t want to mix by yourself. The third mixture is the finishing coat and will have small amounts of sand so as to make it smooth. You can get pre-made mixes that add a broad range of pigments among other additives like adobe, marble, and acrylic among others for texture. If the underneath wire mesh is damaged, you will have to replace it before you repair the stucco. You will have to cut a new wire mesh piece using a pair of wire cutters and fit in the damages area. Pack the stucco mixture in the mesh and then allow it to dry. However, there comes a time when you have to call stucco repair contractors to work on the project. The first case id when the damage goes beyond the foundation of the building. You should not handle such repairs unless you have the right experience in major home repairs. Attempting to fix such issues can damage your surface further. Miami Stucco and EIFS Repair Services are better placed to offer you exemplary stucco repair services. The stucco wall coating resembles plaster closely. Most people use it to cover frame constructions from the exterior but you can still get them on interior walls. The substances you will find in each mixture include fine building sand, hydrated lime, Portland cement, water, polymers, and water. The amount of each ingredient depends on the kind of coat that you would like to produce. You can add mineral oxide pigment to the finish to form coloured stucco. You can go for synthetic stucco but it increases the problems of moisture in your home. Interior stucco finishes come in the form of special pre-measured powder mixtures. All you will need to do is add water and then apply the mixture. Commercial stucco comes with several advantages, these include durability, sustainability, sound resistance. All these qualities are good for any commercial building. 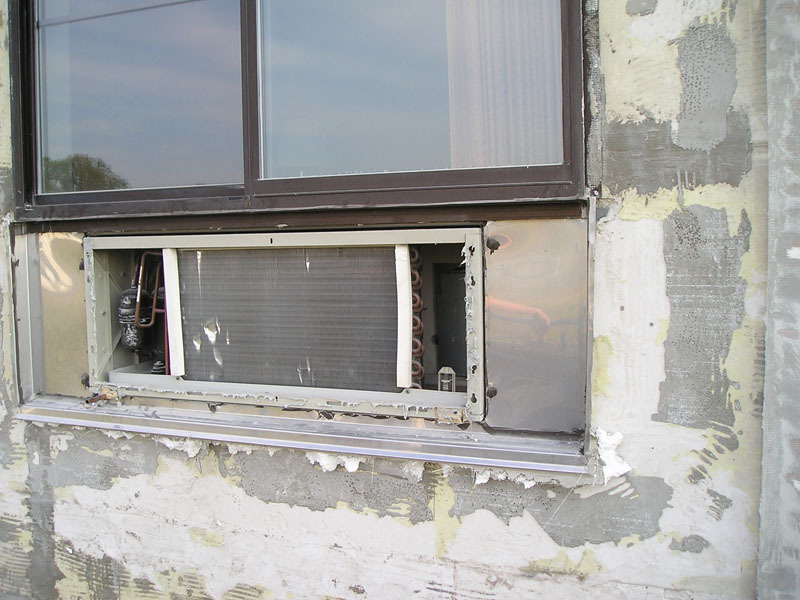 In most cases, you need to leave the work of EIFS repairs to professionals. 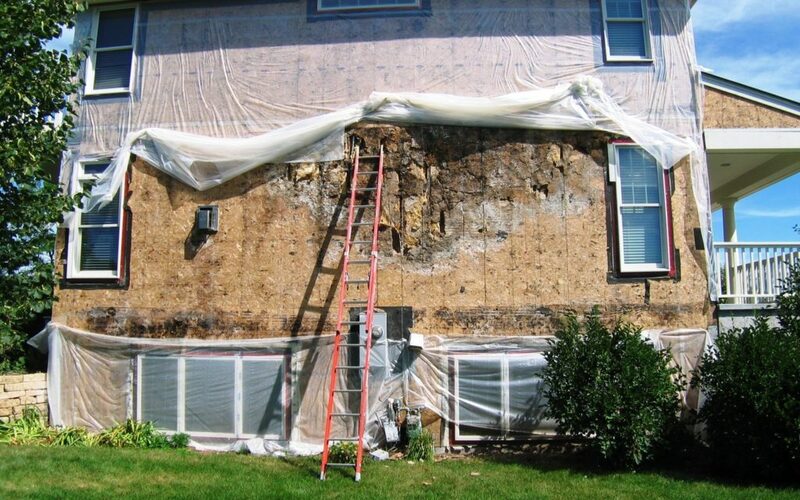 However, reputable EIFS repair services are far and few. You can get a tool kit that can help you in repairing some simple damages. The kit has clear guidelines on how to carry out the repair work. You can start by patch-testing on a small area before carrying out the actual repair work. However, you should not attempt big EIFS repairs on your own. The most important thing is to have a perfect looking patch that will stable for an extended period. You don’t want to worsen the situation by doing the work by yourself. 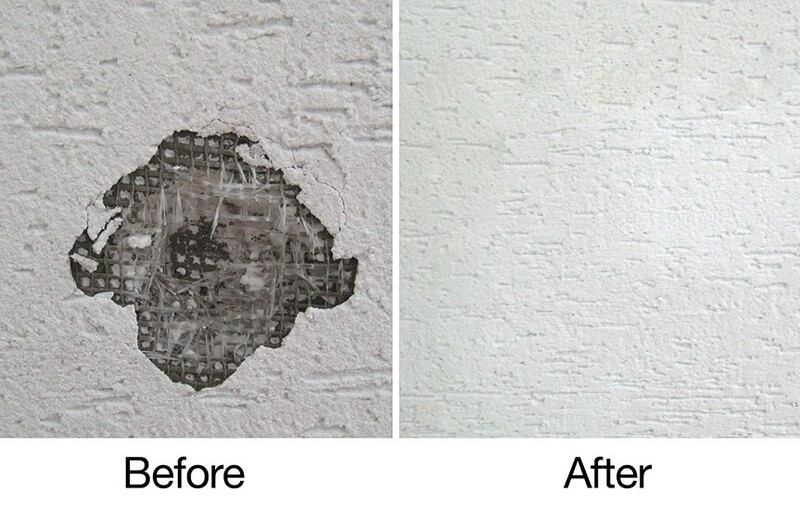 Miami Stucco and EIFS Repair Services offers high-quality EIFS repairs at the most affordable rates. There are several professionals who claim to be the best EIFS professionals. However, not all of them will give you the value for your money. When it comes to a commercial place, look for a highly experienced professional because commercial EIFS can either make or build you brand. The overall look of your building will define how customers, suppliers, and other stake holders will perceive your brand. Choose a certified contractor who has a, lot of experience of working on commercial premises. This will make your commercial premise to stand out from the crowd.